Today we’re sharing something we’ve never done before – our first resource in our new shop! Over the past few years, we’ve shared many free resources and we’ll continue to share these because we love it. But we also keep having BIG ideas. Ideas that take a few months to create and we wanted to open a small shop on our blog to share them. 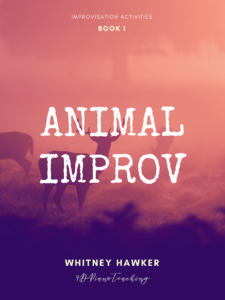 So today is the first idea we spent hours on to make this amazing ebook for you – titled, Animal Improv. Thus Animal Improv was born. We wanted a book we could give our students or keep in a binder near us to pull out each week with ease. Something that took all the planning and preparation time away from improvisation, so we were set to jump in with those 2 extra minutes at the end of the lesson! We wanted something with teacher duets so the sound is amazing to the students’ ears from the very first try. We needed something simple, that didn’t take more theory time or writing work at home but just let students start playing with simple ideas to get them going right away. And so we created this ebook full of ideas for students to interpret and discover on a topic everyone loves – ANIMALS! And by animals, we mean everything under the kingdom Anamalia including insects, fish, birds, reptiles, mammals, and so much more. We tried to cover as many different types of animals in this book 1 so hopefully everyone finds one of their favorites. First there are few facts about the animals to get the students interested and focused. A challenge is given using one of these animal traits to create a piece about the animal. Then students are given a hand position to play in (pictures included). Each animal has a picture to start the imagination firing up as they listen to the teacher’s accompaniment and creating their own song to express this animal. Next students jump in and play! Students can interpret the directions however they want to, there are no right or wrong answers. This exercise can be sent home with students to create new improvs each day. Or students can create an even longer version on their own as they expand on their ideas during practice time that week. The ebook includes a wonderful teacher accompaniment for every piece. So many new time signatures and rhythms for beginners to start feeling! We also included 10 backing tracks for the teacher to share so students can listen and play along at home if they’d like too! 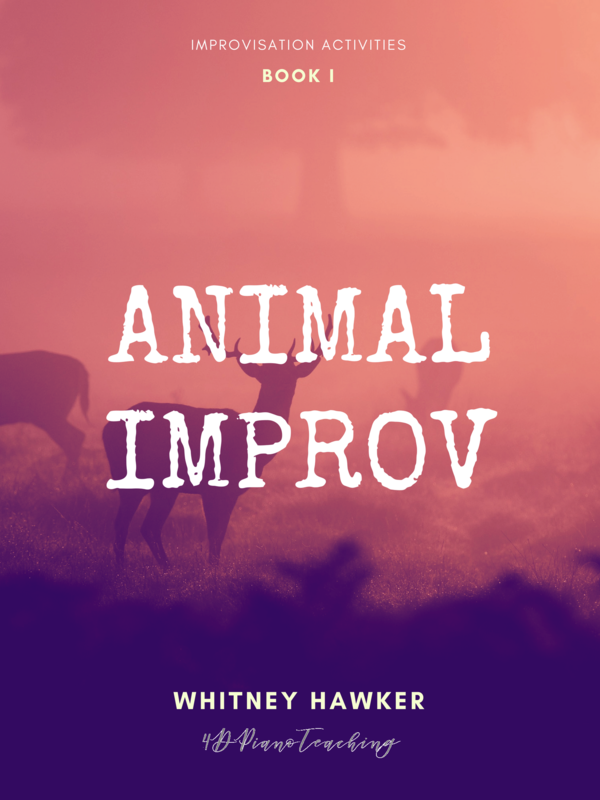 This is our first book of Animal Improv so it’s meant for beginners. We start with black key improvising and slowly move into five finger patterns. Teacher parts were written to explore Major, minor and Lydian mode sounds. It’s so neat to give students the chance to explore more sounds and begin to create those colors right from the start! 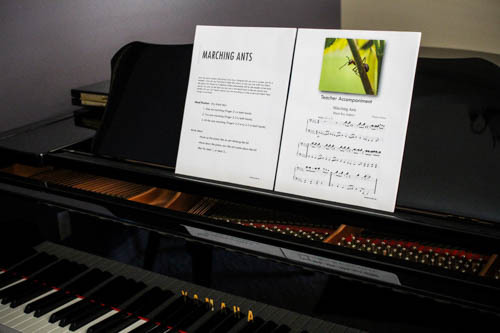 Our goal for our students is that they love composing and improvising right away – that it becomes a natural part of playing piano. We are so excited for you to try these neat activities with your students. Let’s make improvising a part of every piano lesson! We believe that every student (whether young or old) has a natural ability to create within them. They thrive with opportunities to compose at the piano and make up their own music. Most of the time, they just need a little nudge or a starting idea to jump off from. That’s where this book comes in. We hope you love this book! Ready to check it out? 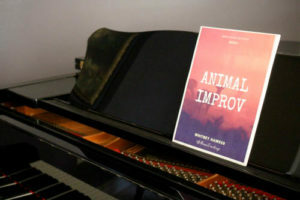 Go here to see our Animal Improv Book 1!